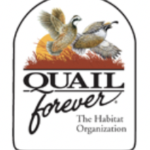 The Farm Bill Wildlife Biologist is a new position that will work with Pheasants Forever and Quail Forever in Rockford to promote, coordinate and implement the conservation provisions of the Federal Farm Bill and other related wildlife conservation programs. Conservation planning and implementation support to farmers and landowners with an emphasis on soil, water and wildlife resources in agricultural landscapes. 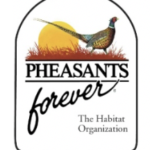 Meet with local chapters of Pheasants Forever and other local partners to influence habitat management efforts and participate in statewide habitat meetings. Attend Farm Bill Biologist training and assist in coordinating technical assistance efforts. This new position will have an intensive focus on the promotion of grasslands across northern Illinois and the use of prescribed fire for landscape management. Application deadline is January 31, 2019. For details on how to apply, CLICK HERE.